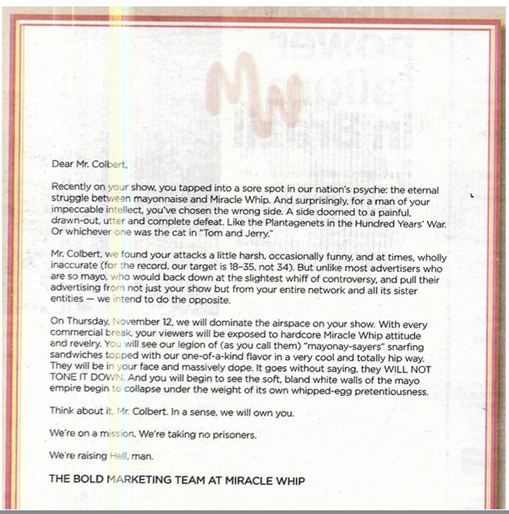 Miracle Whip sent this letter to Stephen Colbert after he made fun of their mayo on his show. Well played, Miracle Whip. Well played. Comments Off on Miracle Whip sent this letter to Stephen Colbert after he made fun of their mayo on his show. 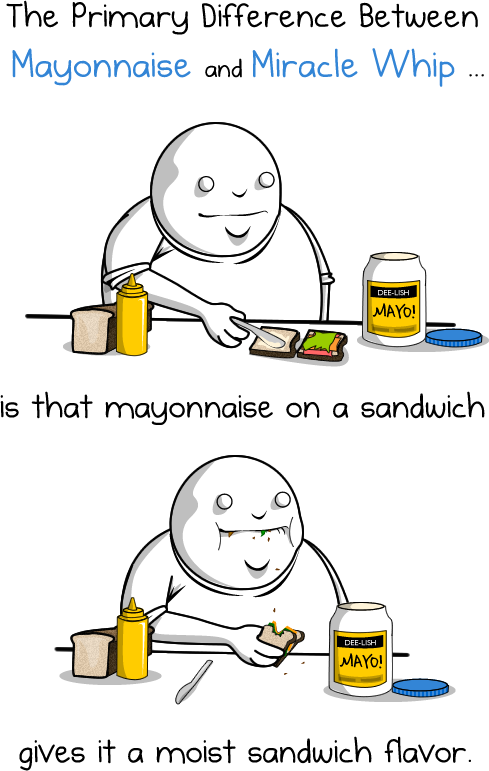 Well played, Miracle Whip. Well played.